RCMP have seized more than one million illegal cigarettes and hundreds of thousands of dollars in cash after a bust in the RM of Rosser. On February 2, police searched two residences in the rural municipality northwest of Winnipeg, where they located 1.45 million contraband cigarettes, $418,203 in Canadian currency and $5,208 in U.S. currency. 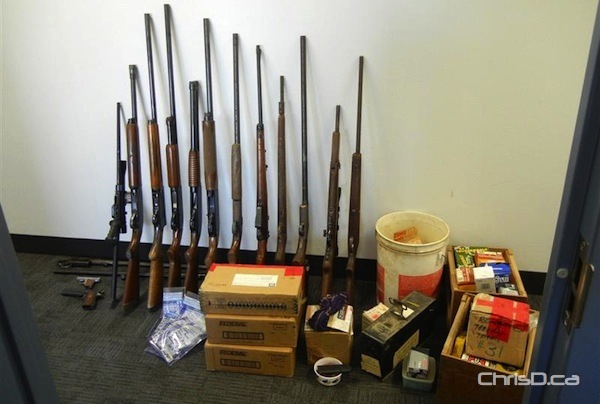 Three long guns and two loaded handguns were also seized. Two men, aged 66 and 67, were arrested at the scene. A 48-year-old woman has also been arrested. All three residents of the RM of Rosser face provincial charges of non-Manitoba marked tobacco under the Manitoba Tobacco Tax Act and the Tax Administration and Miscellaneous Taxes Act. The approximate taxes avoided on the cigarettes is $326,250. If convicted, a fine of $978,750 could be issued. The 67-year-old has since been released from custody and faces numerous weapons charges. The 66-year-old was released on a promise to appear. Manitoba Finance and the RCMP continue to investigate.